Russian Energy Minister Alexander Novak said on Monday it could take two to five months to exit a global oil output cut deal with OPEC and non-OPEC countries if and when such a decision was taken, the Interfax news agency reported. Global producers late last year extended a global oil output cut deal between members of the Organization of the Petroleum Exporting Countries and non-OPEC states until the end of 2018. The duration of that deal is expected to be reviewed at OPEC's next meeting in June when member countries will consider the current oil price and forecast prices when considering what action, if any, to take. "It could take three, four, five months or maybe just two (to exit the deal)," Novak said in an interview with Interfax. Saudi Crown Prince takes bullish stance on supply cut deal; U.S. crude inventories show surprise build even as crude exports hit new record four-week average. Brent crude closed at a 27-month high on Thursday as the market focused more on comments from Saudi Arabia about ending a global supply glut instead of an unexpected increase in U.S. crude inventories and high U.S. production and exports. Brent futures gained 86 cents, or 1.5 percent, to settle at $59.30 a barrel, its highest close since July 3, 2015. U.S.
A cargo ship heading from Russia to Turkey sunk off the coast of Crimea early on Wednesday morning and 11 of the crew are missing, Crimea's emergency situations ministry said. It said that the Panama-flagged vessel 'Geroi Arsenala' had sent an SOS signal when it was located 14 nautical miles off the Crimean coast. The Interfax news agency cited Russian transport officials as saying that the ship, whose home port was reported to be Kherson in southern Ukraine, had broken in half during a strong storm and sunk. 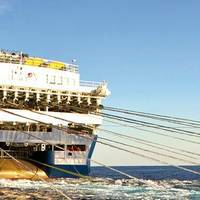 At least six ships and a helicopter were engaged in a search and rescue operation, the emergency situations ministry said in a statement. Their task was complicated however by high winds and choppy waters. 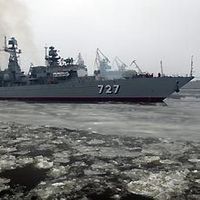 Russia is sharply upgrading the firepower of its Baltic Fleet in Kaliningrad by adding warships armed with long-range cruise missiles to counter NATO's build-up in the region, Russian media reported on Wednesday. There was no official confirmation from Moscow, but the reports will raise tensions in the Baltic, already heightened since Russia's 2014 annexation of Crimea, and are likely to cause alarm in Poland and Lithuania which border Kaliningrad. The reported deployment comes as NATO is planning its biggest military build-up on Russia's borders since the Cold War to deter possible Russian aggression and will be seen as a riposte to that. 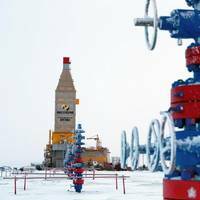 Russia's largest non-state gas producer Novatek said on Thursday its shareholders would decide on a new loan worth $600 million for the Yamal LNG project on June 20, according to Interfax news agency. 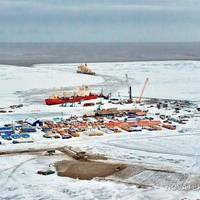 The $27 billion Yamal LNG project envisages three liquefied natural gas (LNG) production lines with a capacity of 5.5 million tonnes a year each. The gas the project produces would be exported to world markets. Novatek has a 50.1 percent stake in what will be only Russia's second LNG plant. 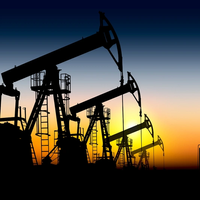 France's Total and China's CNPC hold 20 percent each. French banks may participate in lending for the Russia's Yamal liquefied natural gas (LNG) project, a relevant agreement may be signed in 2016, Tass reported quoting Russia's Economic Development Minister Alexei Ulyukayev. "As for French banks - we have made very serious progress there, we are very optimistic about it. I do hope [that the agreement on lending will be signed this year]," the minister said. 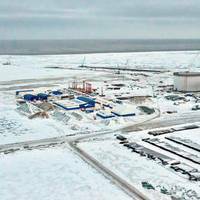 Earlier this year, Russia’s largest independent gas producer Novatek confirmed the volume of capital expenditures for Yamal LNG project in the amount of $27 bln. 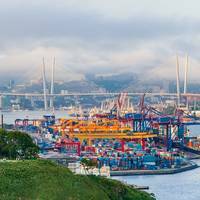 United Shipbuilding Corporation (USC) has taken on 53.5122% of the voting shares of the long planned Far Eastern Plant Zvezda shipbuilding complex in Russia’s Far East. Zvezda (a company of the Far Eastern Shipbuilding and Ship Repair Center, or FESRC) is a leading shipyard providing services for repairs of submarines of the Russia’s Pacific Fleet and the only company in the Far East specializing in repairs, conversion and modernization of nuclear-powered ballistic missile submarines. Murmansk Governor Marina Kovtun, at the first meeting of the State Commission for the development of the Arctic has proposed a change to the system of energy pricing for the Murmansk region and zoning of marine areas. The authorities of the Murmansk region linked the successful development of Russian oil and gas projects in the Arctic with the timely development of the Murmansk transport hub and the construction of the railway on the western shore of the Kola Bay, Interfax reported. A nuclear submarine caught fire in a shipyard in Russia's northern province of Arkhangelsk on Tuesday but there were no weapons on board, Russian news agencies reported. The Emergencies Ministry declined comment on the reports of the fire at the Zvyozdochka shipyard, where the agencies said the 155-metre-long (just over 500 feet) 949 Antei submarine was being repaired. There was no word of any casualties. "There is a fire on the submarine. 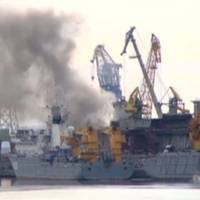 We are fighting the fire now," a shipyard source told Interfax news agency. RIA quoted a spokesperson at the shipyard as saying there were no weapons on board the submarine. A source told TASS news agency the submarine's nuclear reactor had been shut down prior to the blaze. While declining Asian LNG prices have reduced margins on the long-distance LNG trade, causing spot-charter rates for LNG vessels to fall, LPG shipping earnings are forecast to remain buoyant on the back of low oil prices and the absence of fuel substitution. According to LPG Forecaster, published by global shipping consultancy Drewry, low oil prices have not triggered the substitution of LPG as the fuel of industrial use, as feared by some analysts. 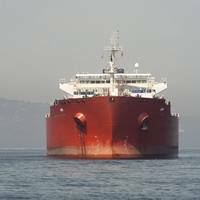 As a result, LPG shipping demand has remained intact and low bunker prices have supported vessel earnings. According to an Interfax analysis of customs data, China used just over half its LNG regasification capacity in 2014, as tariff hikes and cheaper competing fuels hit gas demand growth. Slow downstream demand, driven by rising natural gas prices and sluggish GDP growth, coupled with rising pipeline imports and plunging prices of alternative fuels, have halved China's LNG consumption growth, said industry sources. While Chinese LNG imports in 2014 were up 10.3 percent from 2013, the growth was lower than the 20.3 percent and 22.7 percent registered in 2012 and 2013, Platts data showed.